Searching for a two bedroom apartment for rent in Asheville or Hendersonville? Leslie and Assoc., Inc. has several options to choose from! 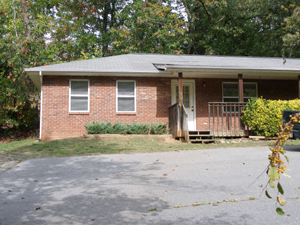 2484 Riceville Road; 2BR/1BA; $815/mo. East Asheville duplex in rural setting near Warren Wilson College. Open living room/kitchen/dining room. Front porch, washer/dryer connections, A/C. Tenant is responsible for electric. Pets okay on approval with pet fee. No co-signers. Directions: I-40 East to exit 55, Left off exit ramp to stop light. Turn right on Hwy 70. Left on Warren Wilson Road (at the Shell Station). Left onto Riceville Road. Duplex is on right. 218 Weston Road; 2BR/1.5 BA; $895/mo. Townhouse-style apartment located in desirable south Buncombe County. 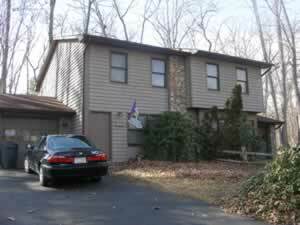 Units are two-story with two bedrooms and one full bathroom upstairs. Half bathroom downstairs with living room and kitchen. Range, fridge, dishwasher, and washer/dryer connections. Carpet/vinyl flooring. Central AC and heat with heat pump. Single-car garage. Tenant pays all utilities (electric, gas, water/sewer, garbage – Waste Pro). Grounds maintenance provided by property owner. No co-signers. Pets okay on approval with pet fee. Directions: Sweeten Creek Road (Hwy 25A) south. Left on Mills Gap Road. Right onto Weston Road. Duplexes are about 2 miles on the right. Alternate directions: I-26 to Airport Road exit; turn away from airport onto Airport Road (Hwy 280E). At Hendersonville Road, go straight through intersection onto Sweeten Creek Rd (Hwy 25A); after approx half-mile, turn right onto Weston Road, then turn left onto Oak Terrace and take an immediate right onto Weston Rd. The duplexes are on the left. Wonderful apartment complex located in South Buncombe on a private lot that features a grassed play area for children, central air with heat pumps, kitchens are fully equipped with dishwasher, built-in microwave, oak cabinets, range and refrigerator, washer and dryer hookups, double-hung windows, mini-blinds, deck or patio. 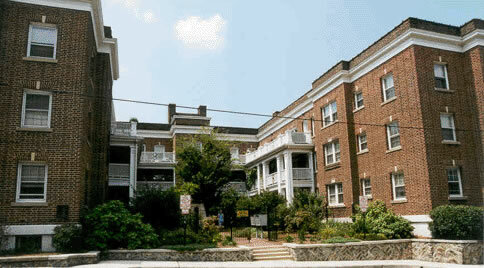 Very convenient south Buncombe location and one of the best apartment values in Asheville. Pet okay w/ approval & deposit. No co-signers. Directions: South on Hendersonville Road, right onto Heywood Road at the County Line Convenience Store, left at stop sign onto Old Shoals Road, immediate right onto Beale Road, Glen Beale Apartments are approximately one mile on the right. From I-26 traveling east, take the airport exit, left on Airport Road, travel approximately one-half of a mile and turn left on Bradley Branch Road at the red light, travel on Bradley Branch Road until you come to the stop sign with Glen Bridge Road, turn right on Glen Bridge Road, travel approximately one quarter of a mile, bear left onto Beale Road at the fork, the Glen Beale Apartments are immediately on the left. Sorry, no two-bedroom apartments available at this time in the west area.